The E46 chassis, just like the E36 or E368 has certain known weak points, specifically the area where the rear subframe attaches to the unibody. 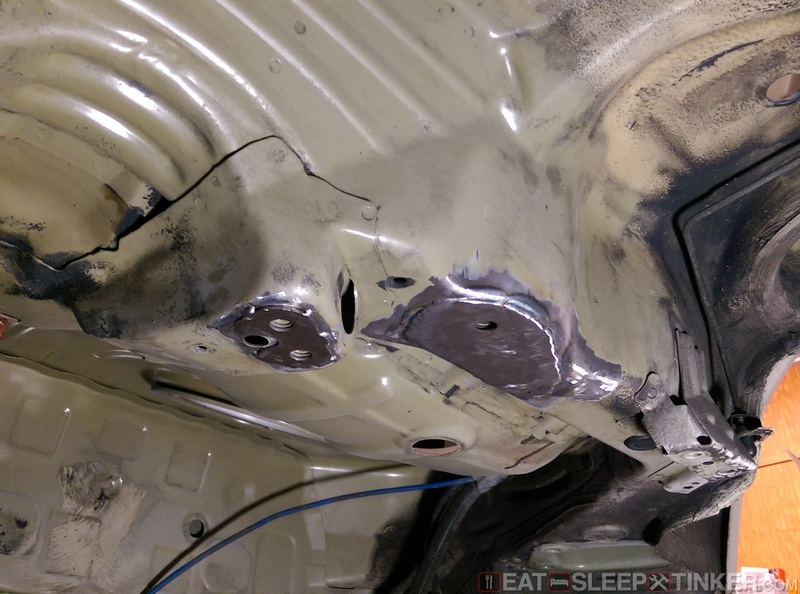 E46s, especially those driven on the track or abused on the streets, will begin to tear the metal in the four points where the steel subframe bolts to the chassis. 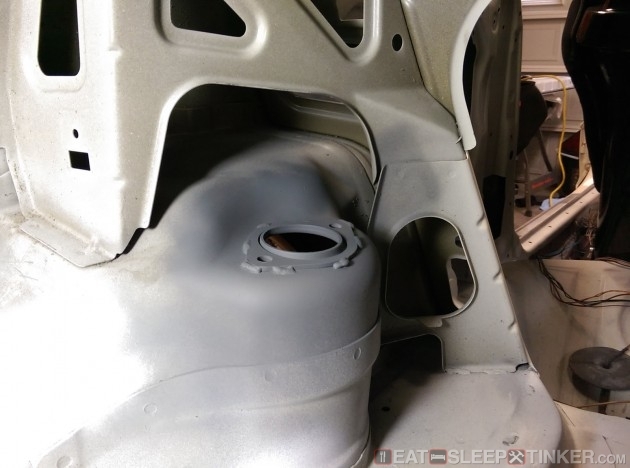 Fortunately since these cars have been around for 15+ years, many aftermarket companies have developed reinforcement kits to address these issues. 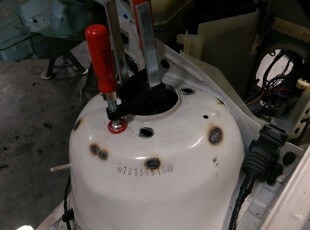 They are pretty simple, just steel plate welded around the attachment points. The install is a bit more involved, especially if you are doing this to your daily driver. But on a race car, most of the parts that need to be removed are going to be removed regardless of installing these reinforcements. 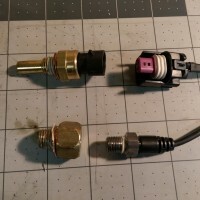 There are tons of DIY’s out there in the forums, so I’ll save you the boring details. I also added reinforcements to the rear anti-sway bar mounts located on the actual subframe. 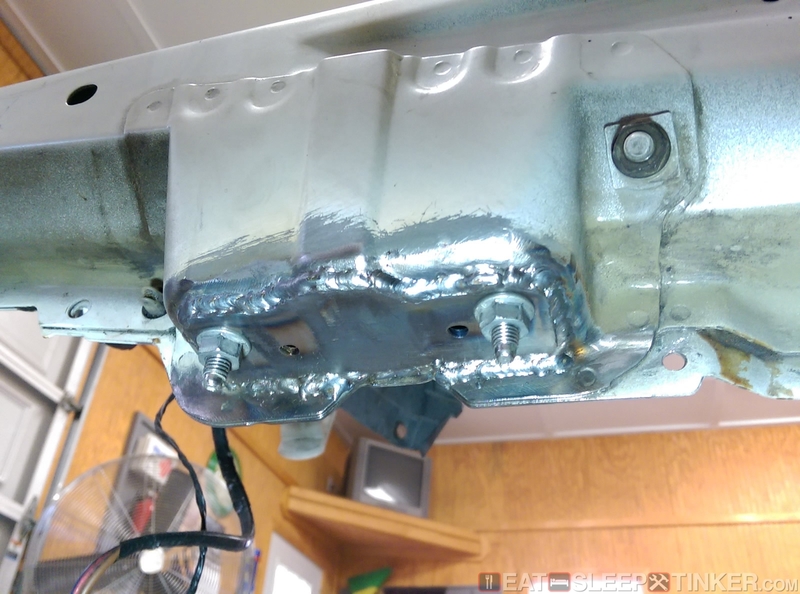 With a heavier sway bar and hard driving the OE mounts can bend or even break. 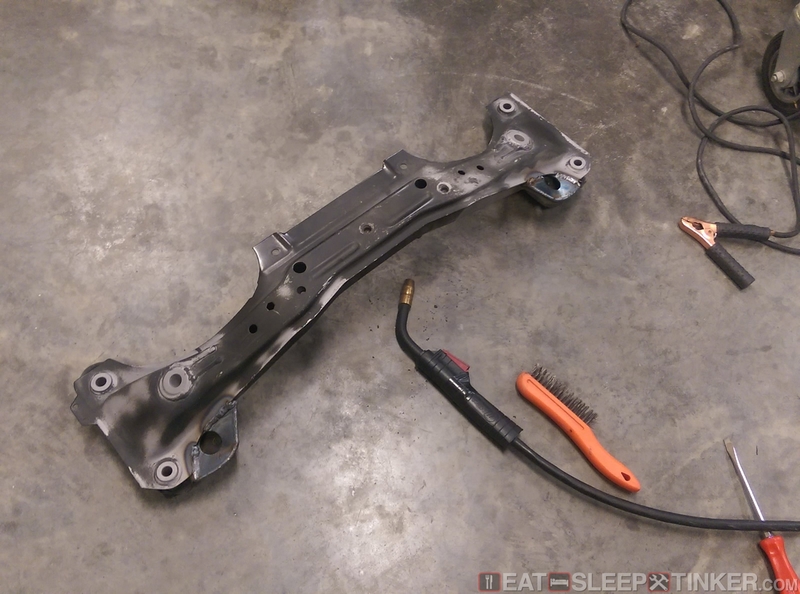 The rear subframe is certainly the most critical weak point, there are still several other areas that need a little attention on a race car. I added simple reinforcement plates around the upper rear shock mounting points, just spot welded in place. 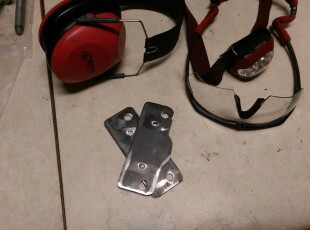 The upper shock mount itself will add a great deal of reinforcement compared to the stock style mounts. The front subframe also has a known weak point at where the engine mounts attach. Like the rear subframe, there are several aftermarket solutions. 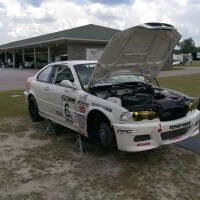 I tried the Bimmerworld kit, but found it fit poorly and was as substantial as other kits. I then went with the AKG, which was more robust but still required some grinding to fit properly. 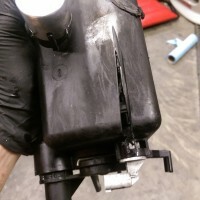 On a recent rebuild with another subframe I tried the Turner Motorsports kit and found it fit directly out of the box with no grinding. The front strut towers can also become damaged, aka mushroom, from higher spring rates and track time. 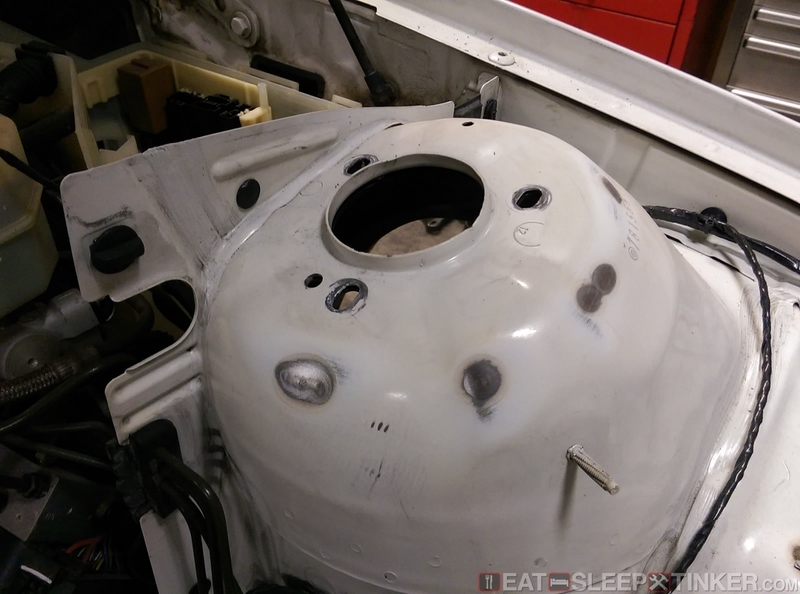 BMW themselves produce a reinforcement plate for these towers, just as they do for the E36/7/8 chassis. 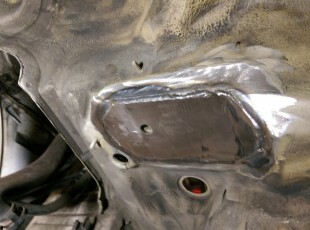 You could just place these plates on top of your camber plates and leave them otherwise unsecured, but I decided to weld them in place. Just like the rear anti-sway bar mounts, the front mounts too can become damaged with track driving and heavier rate bars. 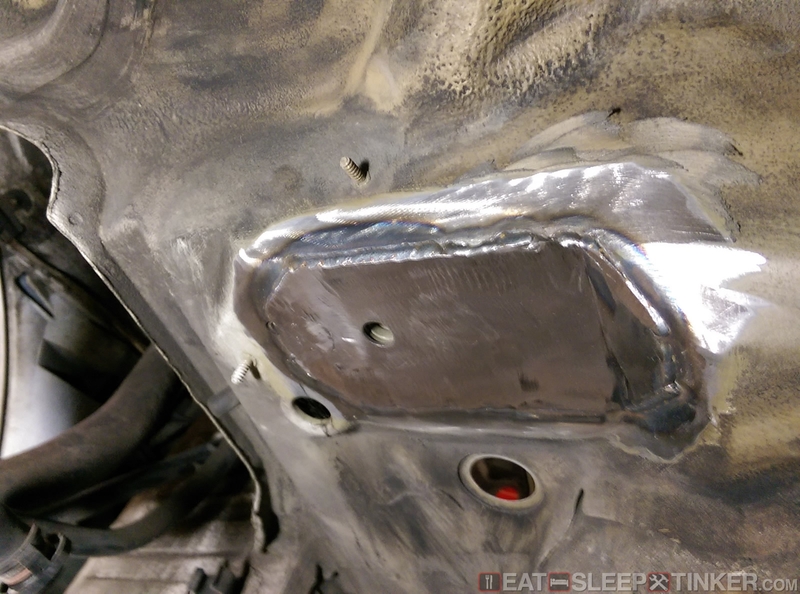 There aren’t any readily available aftermarket solutions (that I know of) so I fabricated a simple plate out of some scrap 1/8th steel.